Buy English Breakfast Society a Coffee. ko-fi.com/englishbreakfast - Ko-fi ❤️ Where creators get paid by fans, with a 'Buy Me a Coffee' button. 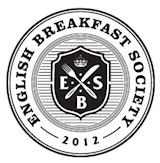 The English Breakfast Society (EBS) is a learned society of fellows, dedicated to the tradition of the English breakfast. We are a non-profit organisation, staffed by enthusiastic volunteers. If you appreciate our work and want to support our cause, we would really appreciate the caffeine! Welcome to the English Breakfast Society's BUY US A COFFEE page, where you can support our work, help cover our costs and treat our volunteers to a cup of coffee. Secured Payments. Support goes to English Breakfast Society's account. Upgrade English Breakfast Society to a yearly Gold Membership with a one-time payment.